So many of you related to Kamsin’s post last week, including me, thanks for all your supportive comments. This week we have another hot topic and some great advice from Lisa at Hopeful Mama. I’ll confess: I can be very sensitive to criticism or feedback about my parenting. I wish I didn’t react this way, but I do. Even though I’m fortunate to not get criticized on a regular basis, when it comes up it’s amazing how I can get hurt and angry, letting the feedback bother me for quite a while. In my world the criticisms have come from being overly permissive or inconsistent with my discipline, having kids who are being sassy (a result of my discipline), being overly worried about my children’s health, development and eating habits, or not attending to their health and development enough. So the critiques vary depending on the situation and the person who decides to make a comment. I’m sure there are many times that I’ve let comments become a bigger deal than they needed to be, and I know there are other times that I’ve reacted maturely to the feedback and not let it get to me. Still, I know I have work to do in this area. Over the years I’ve tried to understand why negative feedback about parenting is so tough to hear, as well as how I might be able to manage it so my mental health isn’t affected when I hear it. 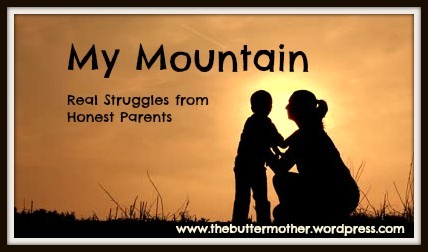 I’ve talked with fellow moms and their wisdom has shown me that I’m not alone. Everyone has someone in their lives who is very important to them, and whose criticism can be difficult to hear. I’ve talked with moms who seem to handle feedback from family members with amazing grace, but note that a comment from their partner can really set them off. Conclusion: we are all human and hearing negative feedback from someone we love and respect is difficult. It makes sense that criticism about parenting is especially hard to hear. For most of us, raising healthy and happy children and having a strong family is one of our primary goals. Also, we are usually trying the best we can at a task (parenting) that is not at all well-defined and for which we are not trained. So criticism about the most important and difficult thing we will do with our lives will definitely affect us. If the criticism is outlandish and completely inaccurate, it’s easier to dismiss. Nonetheless, it’s still really annoying and can make you feel indignant. Nothing brings out anger like the hurt of feeling unjustly criticized. Criticism often comes in crisis moments, moments when everyone is tired, or moments when everyone is tired of having spent a lot of time together. Maybe your child has just had four meltdowns in one day or hasn’t been able to keep it together for an important family event, or maybe you have been talking about an issue regarding your child and people are simply tired of hearing about it. When people are stressed they want to fix things or blame something for the stress, so they may be more apt to point to someone’s parenting as a reason (and solution) for making the situation better. Sometimes there is a grain of truth (or a lot of truth) to the criticism or feedback. This is important to think through, and see if there is something you can learn from or work on. It takes courage to do this. How criticism is delivered is highly related to how the receiver hears it. Sometimes we need to tell the people we love how we can best hear their feedback, or at least model it (e.g. maintaining a calm voice and not allowing the discussion to escalate). That being said, sometimes people deliver feedback in a very productive way and we still have a hard time hearing it. Again, this is important to think through. Some people are more sensitive than others, and that’s okay. For those of us, we might have to work a little harder on making sure that feedback or criticism doesn’t throw us into a tailspin, affect our mental health, or jeopardize relationships that we want to maintain. For me, this means first taking a breath and trying not to be reactive. Depending on the situation I may use humor to deflect, and other times I may have to talk with the person seriously about how their comments are affecting me. Most of the time, I have to try to get grounded in the reality that I don’t know exactly what I’m doing, there might be ways I could improve on my parenting, criticism doesn’t mean I’m failing as a parent, and it’s okay to be frustrated when life is so stressful and then you get negative feedback. That’s a lot of thoughts to manage at one time, but I’ve found that they can all co-exist. 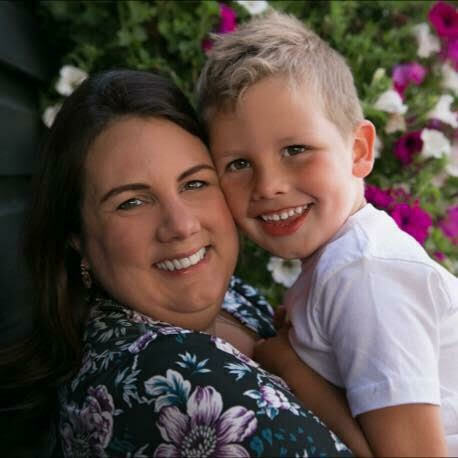 Lisa Edwards is a mum to two young daughters, as well as a psychologist, researcher and professor at Marquette University in Wisconsin, US, where she teaches and conducts research about positive psychology, perinatal mental health, and multicultural issues in counseling. She also provides counseling to pregnant and postpartum mums, and volunteers on the Spanish Warmline for Postpartum Support International. Her website Hopeful Mama is a fantastic, supportive resource for parents so please hop over and take a look. You can also follow Lisa on her Twitter and Facebook pages. This is true…we can be our own worst critic as well! I agree–the fact that there is no fixed right answer should remind people to not judge others. I have apologized for my kids’ behavior as well, and also tried to give explanations (“they’re tired”) to keep the peace. With certain people you feel like you are walking on eggshells and I agree that those memories hurt! I find criticism very hard to take when it comes from someone close to me about something personal such as my parenting. My husband during many sleep deprived nights would say something and we would have a whispered argument over a finally sleeping baby and it was tough. He didn’t mean it but we were both adjusting to a new reality. I agree–there are few things as personal as our parenting! Anything negative about our parenting skills is hard to hear. You just have to remember that your child/children are happy and well loved and try not to let the rest get to you. I like the image of building up the shield. I find that with age and experience the shield gets stronger! I think it is so true when you mention criticism but no praise – people are quick to judge if they don’t agree but no one sits there patting you on the back for dealing with night feeds, night wakings, food thrown across the floor, temper tantrums and illness all with patience and grace. Hell, sometimes you feel like you need a medal for making it through the day! I had my first taste of criticism when Arthur was a few days old. He breastfed a lot – at least every hour day and night and I was called out for it by certain family members on quite a few occasions…being told I was feeding him too much, that for some silly reason I seemed to think that everytime he stuck his tongue out and started rooting I seemed to think it meant he was hungry (!) and that no baby needs to be fed more than every 2 hours, usually 4. I now know what a load of crap those opinions are and luckily at the time I was strong enough to stick to my own instincts regardless…but it really upset me. I felt judged every time I picked up my baby to feed him and there were a couple of times he was ‘comforted’ by someone and taken out of the way so that I couldn’t just feed him (obviously this didn’t work!). I often have days now that he is older when I feel envious of other mums who have family around to help – but then when I think back to the ‘visits’ in the early days when everyone comes to stay and meet the newborn, and they want to be involved and judge and impart their wisdom before leaving you to then just get on with it on your own anyway….life is so much easier when you just get to trust in yourself and do it your own way. I still get criticised from afar – for still breastfeeding at 17 months, for co-sleeping, for not doing controlled crying, etc. I still have strangers stop me in shops and decide that I need to feed my child or put him down for a nap. Means well vs. knows well. I like this. And yes, I want my medal too! I hear you, Allyson! So much depends on the person delivering the feedback and how they do it. I agree–parents tend to be the closest to our kids, who spend the most time with them and also have their own opinions about how to do things!